Professional office relocation services - furniture, files, computers, servers! 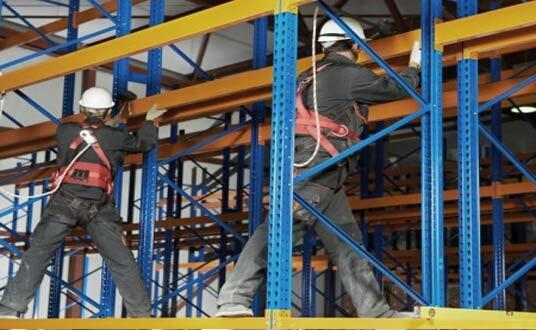 Full warehouse relocation planning and moving - stock management, temporary storage, racking disassembly and installation. 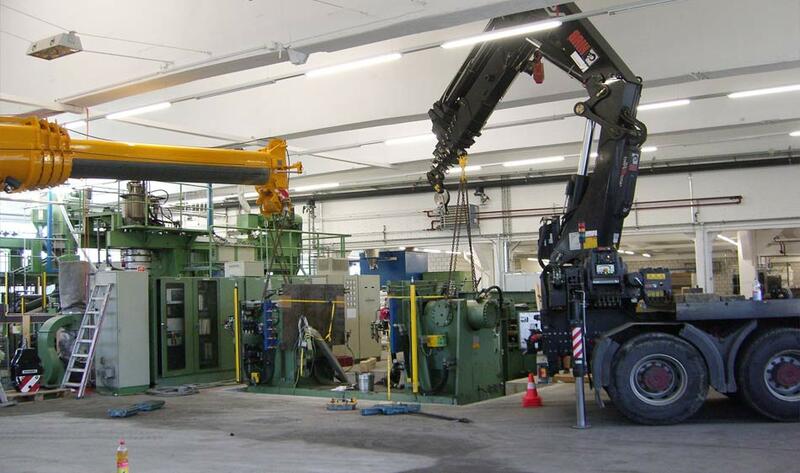 Complex factory removals - heavy machinery moves, electrical and mechanical services. Are you looking to move your business? 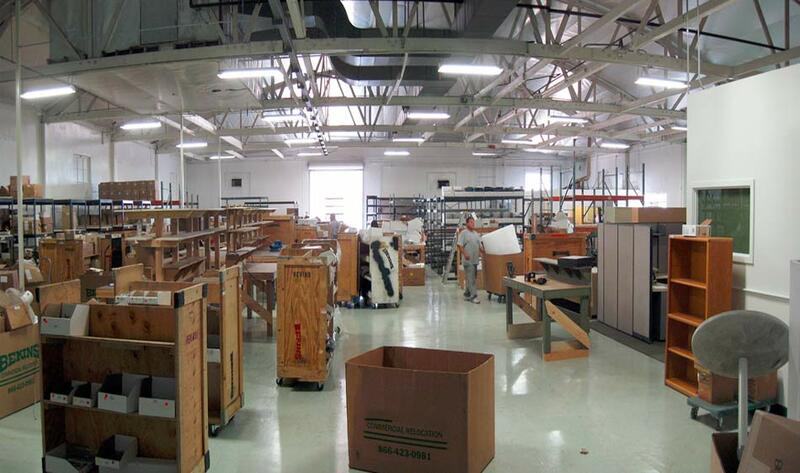 We offer complex office removals, warehouse and factory relocation services for companies of all sizes. 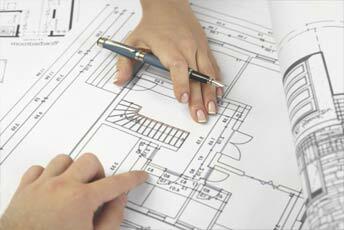 For each client we provide a free technical survey, advice and no obligation quote. Our relocation managers will plan you move in every detail. The quote you will receive from us will include the exact moving costs, resource schedule and the time-scale. We work during office hours as well as early mornings, evenings, nights, weekends and even bank holidays. Contact us today to obtain a free move estimate. You can give us a quick call, talk to us online, send an email or use our online from to provide us with your move details. Here you can find out more on how to plan a move. Take advantage of great advice and tips from experienced office removal professionals. 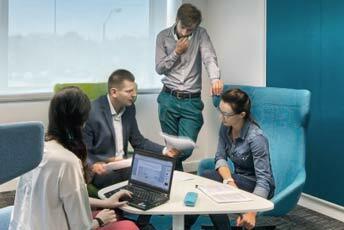 Benefit from our executive corporate relocation services across the United Kingdom. A number of reasons may make a business to move offices to another location. Change in management, merger, change in government policy, unfavourable weather condition, change in market trend, identification of better business opportunity in another areas, change of headquarters, competition, expansion of a business and many more are some of the reasons that may cause a business to relocate office, factory or warehouse. Office removals for whatever reason is a very tasking work. It can be very stressful for both the employers and employees concerned with the arrangement. It involves a lot of planning. There are also other issues to settle with major clients and even government. 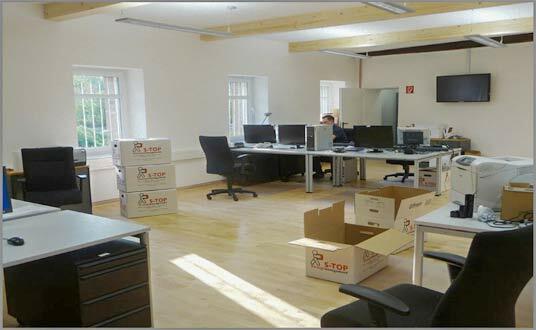 But we are there to help you to have effective and smooth office removals. Whether you are a big company, hospital, university, medical practice, insurance company, call centre, college, primary school, medium or small business, we have various office removals packages that will meet your need. We have the required resources including manpower and machines to help you move your office or warehouse to any location across the UK and across the world. We also offer cheap office moving across continents and within the same building. Our UK office movers of dedicated and well trained staffs have all it takes to help you plan and carry out the most effective business relocation. You will handle every aspect of your office move with high level of professionalism. We are quite aware of the implication of poor handling of commercial relocation to your business. Our reliable office removals experts will ensure that your business operation will continue even during and after the move. Business continuity is very important for you, your employees and your organisation. So, we will go the extra mile to ensure office furniture removals to another location will be to the advantage of your business. You will surely not regret hiring our removal services. You might have come across various commercials from various inexpensive small and big office removal companies making a lot of promises to you. Experience has shown that most of these industrial movers don’t deliver on their promises. We are very unique and always live up to the expectation. 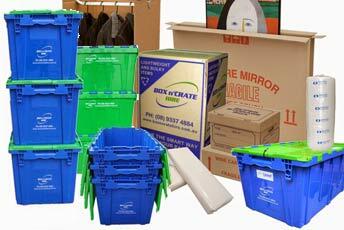 We have been into office relocation business for many years and we have satisfied all our customers. We don’t have history of poor delivery. Our reviews are eloquent testimony to our quality office removal services. We can also provide you with references if you want to be convinced on our capability to offer excellent office move services to you. Besides, we spend more in training our staffs so that they can handle every aspect of small or large office removal including planning, packing, dismantling and reassembling of office furniture or warehouse racks to moving to any location across the UK - London, Bristol, Liverpool, Glasgow, Edinburgh, Sheffield, Coventry, Cardiff, Birmingham and many more.. We know the government policies and regulations on establishment of a new business in many locations across the world. So, we are in a better position to help you have effective and cheap office relocation to ensure the continuity of your business operation. 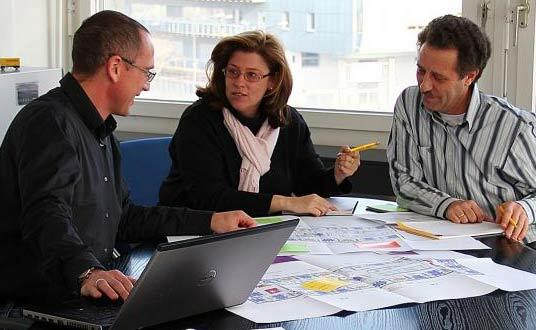 Our office removal experts will evaluate your business, its goals and mission statement, the scope of the business relocation project and then work out the best strategy for successful execution of the project for you. We are confident in our expertise. This is why we guarantee you 100 percent satisfaction. We are not like other removal businesses that make empty claims without fulfilling them. We are aware that office removal involves a lot of expenses. Considering this fact, we have reduced our office moving cost to make it easy for you. We don’t have any hidden charges. Once you receive a quote from us, you will not have any fear of being asked for one payment or the other. Honesty is our guiding principle as far as pricing is concerned. 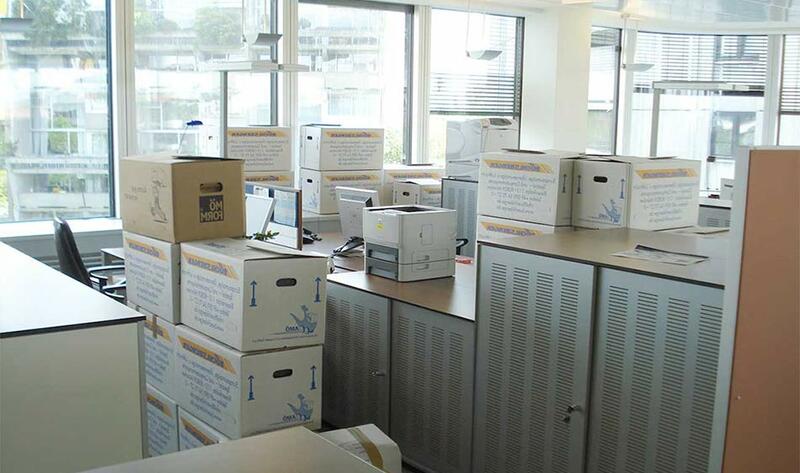 To show you that we will want to help you plan and move office, we are ready to negotiate removal cost with you. If you get a better offer elsewhere, let us know so that we will discuss with you to know how we will help you. 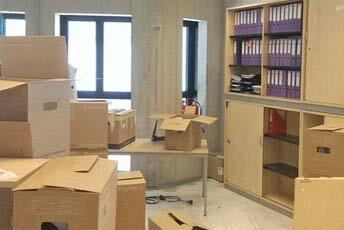 If you want to get affordable office removal services, then you should consider making use of our moving services. Our UK office removal companies are available to various sizes of business. Whether you are small business or multinational, we have the required resources to move your office furniture, warehouse stock or machinery to any location in the UK as well as to any European or worldwide country - France, Germany, Spain, USA, Canada, Australia, New Zealand, Dubai, South Africa, Saudi Arabia, India or China. 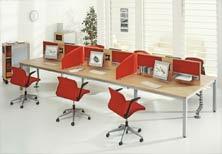 You tell us where you want to relocate office and we will deliver the service. Are you planning a move of the whole company and are looking for a reliable UK office mover? You need to be 100% certain that the whole migration goes smoothly and without any faults. Our office furniture and storage cabinets relocation specialists can offer you a man and van office removals service that will be adapted to the size of your business an to your budget. To quickly obtain an estimate for your corporate office move you can contact us directly. The quickest way is to call our info line or fill out a tentative estimate request form. We will contact you within 10 minutes. Compare office moving companies in London, Liverpool, Manchester, Leeds, Nottingham, Leicester, Derby, York and anywhere you want. If you have any questions about who we are do not hesitate to ask us to provide you with some references for office removals projects we have completed. We have successfully accomplished thousands of business moves and in most cases can provide references for office furniture removals that took place in your area or even for moving businesses that you may know. Before relocating your office we always recommend and are happy to arrange a no obligation office survey carried out by one of our technician at your business premises. This removal service is non-binding and completely free. 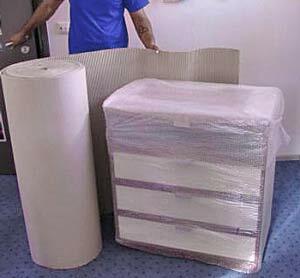 Only unprofessional and cheap man and van office movers do not offer the free planning meeting where the relocation manager can assess the scope of work to be done, estimate the cubic volume of office furniture and equipment, check the type of furniture and assess the number and the type of moving crates required for the removals. It is also a good opportunity to get familiar with the building that you will be relocating from. In the case of small office removals our estimators are able to calculate the moving costs and print out their proposal during the inspection. 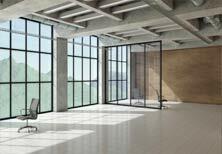 In the case of large-scale office relocations you will receive our offer the next working day. 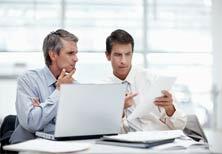 We understand how important to you is to eliminate or keep your business downtime to minimum. That's why our local office movers can work out of business hours during the week or the relocation can be commenced and accomplished on the weekend. Apart from the cheap removals carried out on Saturdays and Sundays we also do work nights and during the Christmas time, bank holidays and New Year time. When relocating offices each item should be marked and ready for moving day. Our staff will gladly brief and instruct your employees on how to pack for moving their personal effects, files and computers. 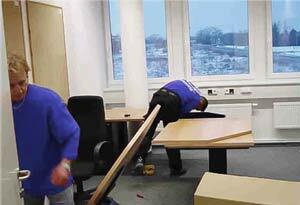 Of course another option is to let office removals experts do the packing. When you take this removal service our movers will take care of everything, you pass all the worries associated with the relocation on to us. Every small or big office move is different and therefore we tailor our moving services individually to the requirements and needs of our customers to make the transition as cheap as possible. Our office removal firm are able to provide a complete moving services including relocations throughout the night so that we minimize the disruption to your business. At the agreed time and date our vans and lorries arrive with the move coordinator, the team leader and porters. The entire office removal project is always well managed. We always push for step by step move according to the plan prepared. Each crew also has its own relocation manager, who will be with you promptly to fulfil all your needs and give you additional piece of mind. The stress associated with all the moving chaos can be easily avoided. Most cheap office moving firms we have moved in the past involved furniture dismantling and assembly. For clients packing their office equipment we always provide a how to pack a PC guide.. Usually we protect the furniture using corner protectors and stretch film and then on the vehicle we wrap it in blankets and use straps to fasten them. All objects to be moved are treated with utmost care to avoid damages. After the loading all items are transported on the removal vehicles to the new premises, unloaded and placed accordingly to the floor plans prepared during the first office removals planning meeting. When moving furniture to the new building we always distribute them to your desired location. Next all items are unpacked; the protective materials are taken away and disposed. 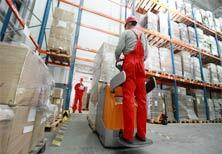 The workplace is left by our best office movers UK clean and ready for your employees to start work again. Sometimes it happens that you buy a new reception desk or a large meeting table and you find out that you cannot fit it through the door. In such cases, we offer cheap removals using a furniture hoist. 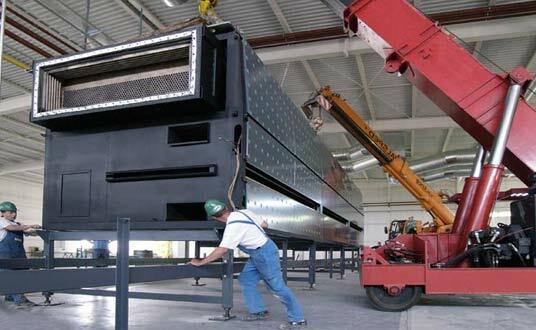 We can also operate furniture cranes, where we are able to lift a server or a desk up to 120 meters high. Contact our cheap UK office movers for more details, advice, help and a free estimate. We are the cheap office moving company you can trust. 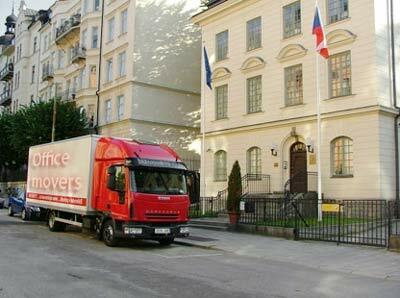 Office-removals.co.uk is one of the most comprehensive and free to use moving costs comparison services in the UK. We've gathered over 550 professional commercial removal companies in one place that are happy to compete with each other in order to provide you with very detailed, tailor made, affordable, free and no-obligations moving quotes. With us, in just a few minutes, you can request and compare quotes from 5 independent professional and at the same time cheap, UK office moving companies that are local to you. Your quotation request will be sent directly to 5 different removal firms which will contact you at first hand with their free no-obligation estimates and advice. Let professionals compete with each other to offer you the best value for money removal services. Our website is committed to finding you the right local commercial relocations company at the best price, and dedicated to saving you time and money. Business removals can be made with easy and we will help you to achieve this. Why it's free to compare office removal companies UK and how we make money? We don't charge our clients for using our office removals costs comparison service and we do not add any fees or commissions to the prices you receive. We make money by charging our UK office movers a small fee for giving them the opportunity to advertise on our page and to provide you with a quote. To ensure that all our UK removal companies provide and continue to maintain the high standards of corporate removals we constantly ask our customers how well they perform. We monitor complaints, carry out detailed investigations and act promptly on the findings. UK office Removal firms and relocation managers that do not meet the expectations of our clients are removed from our system.